Course Information 2 hours from central Tokyo, 30 minutes to Horai & Nishinasuno and 1 hour from the world heritage Nikko. 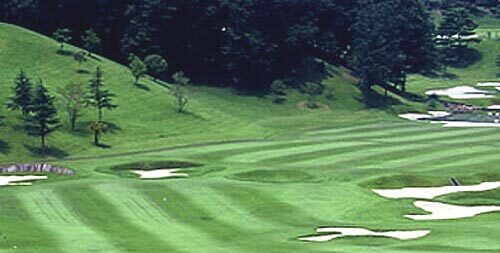 Laid on a gently rolling hill of Southern Nasu Highlands.Designed by Japanese architects, Tadashi Sasaki and Susumu Miyazaki under the supervision of legendary Gene Sarazen. As you may know, Sarazen is an inventor of sand wedge, and of course, there are many various bunkers on this course. Fairways are spacious and long, and many small and big ponds serve as hazards as well as bunkers. This course had played host to unique proffesional tournament called Gene Sarazen Jun Classic which commemorates Sarazen for 23 years untill his death in 1999. This course is ranked within Japan's top 50 golf courses. Western style hotels are available in Shiobara Onsen and Nikko.